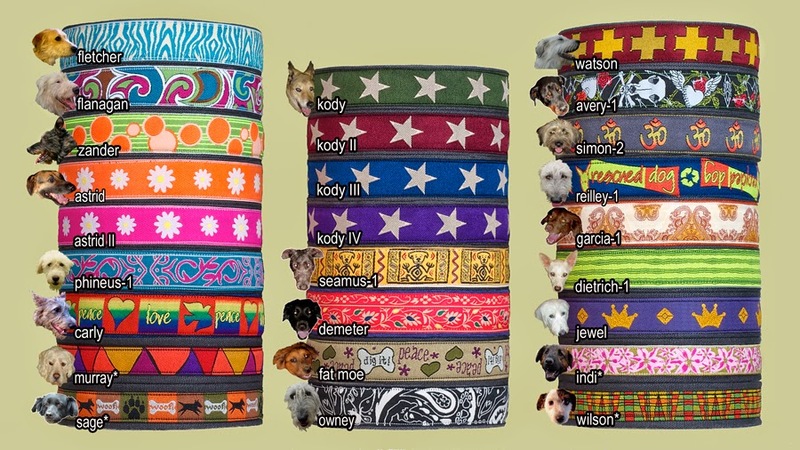 If you think the above collars are adorable & unique, check out all the other designs they offer.. I love how they suit all sorts of dog's personalities, and how bright they are! These collars feature triple-layered, 100% hemp canvas construction, quick-release hardware and distinctive earthdog-style trims. Collars can be machine washed and dried, are hypoallergenic and available in 24 styles. They're great quality, and come in some of the most unique, and vibrant designs I've seen. If you want a collar that really stands out, and is great quality I highly suggest checking these out! Earthdog also offer leashes, harnesses, and keychains in the same cute designs. 10% of Earthdog profits go to kody's fund, a non-profit organization that funds spay and neuter programs. Earthdog also offer free shipping on orders over $40!